One of the frequent questions that comes up privately many times over the past months since I posted this Blue Yeti review, is about the recommended Blue Yeti microphone stand and for any other microphone you are using. So I am adding content here to help folks on the lookout for this. Blue Microphones Inc. does not manufacture a microphone stand other that the desktop stand that the Blue Yeti USB or Blue Yeti Pro microphone comes with. 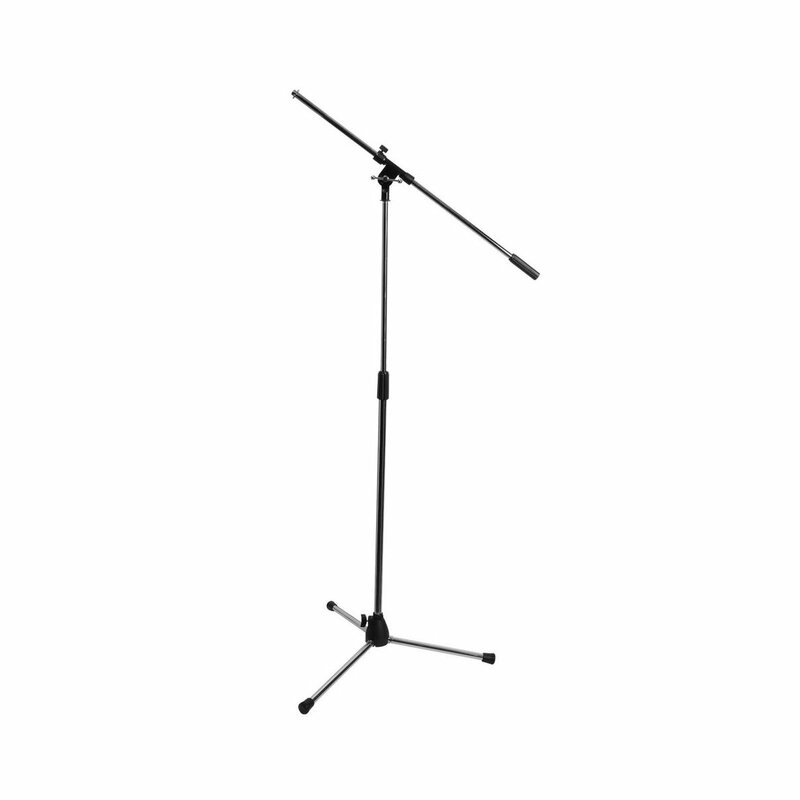 But it does come with a standard threaded mount socket where standard microphone stands can be used. The options include tripod boom stands and desktop swivel stands. I use the On Stage MS7701C Tripod Microphone Boom Stand, Chrome and I find it very convenient. The ProLine MS220 functions as a standard microphone stand and it has a standard threaded mount on which the Blue Yeti can be mounted. Besides, if you ever wanted to use the Blue Yeti in a multi-artiste recording situation, the ProLine microphone stand can function as a boom microphone stand as well since it has a three level telescopic adjustment set to extend its height and reach. What's more, it can be folded away when not in use. If you are using a boom microphone stand, then be sure to set the Blue Yeti Polar Pattern to Omnidirectional mode as only then would it capture sounds all around the mic. An alternative setting for a boom microphone stand usage is the Stereo mode but that would be a bit suboptimal. The other option for folks who want to work off of their desktops for voice overs and podcasts and any other vocal applications, a convenient solution is the RODE PSA 1 Swivel Mount Studio Microphone Boom Arm, Black . The covenience of this stand is that it sits on your desktop while providing you the ability to swivel it and has a boom arm from which the Blue Yeti USB or any other microphone can be threaded into. You do have to get a 3/8th Female to 5/8th Male adapter to allow standard threaded mics to be mouted on this stand. Do you know of any options that would accomodate the Yeti in terms of a desktop stand/arm that can be retracted and moved around? I have added content for the same in the blog and your question is quite timely - I recently visited a radio station where they were using the above mentioned desktop stand with swivel capability for their mics. With an adapter (costs 2 - 3 dollars) to fit standard threading in mics like Blue Yeti, you can easily use this stand for flexibility and adjustability purposes. The station had the adapters also on their stands. Top Five Best Quality Affordable Microphones including Rode Podcaster, Blue Yeti Pro, etc. © Redshifter 2010 - 2017 . Powered by Blogger. Some links on this site may lead directly or indirectly to affiliate offers. The owner of this site may receive compensation if a purchase is made using a affiliate link from this site. The owner of this site does not make any guarantee concerning these offers and all offers should be viewed as recommendations only.